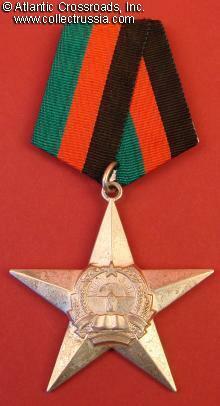 Order of the Star, 3rd Class, Type 1, 1980-1987. 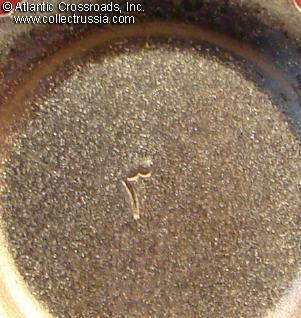 Nickel silver; measures 56.2 mm tall including the eyelet, 54.6 mm wide. 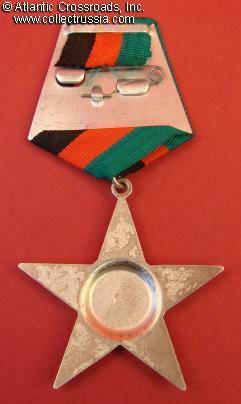 Large silver star with center medallion showing the 1980-87 version of Afghanistan state emblem. 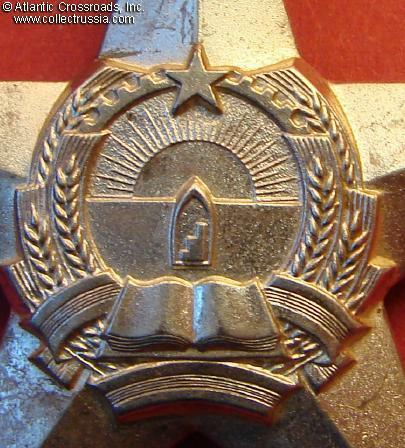 Stamped Dari character "3" (for the third class) to the reverse. In excellent condition. 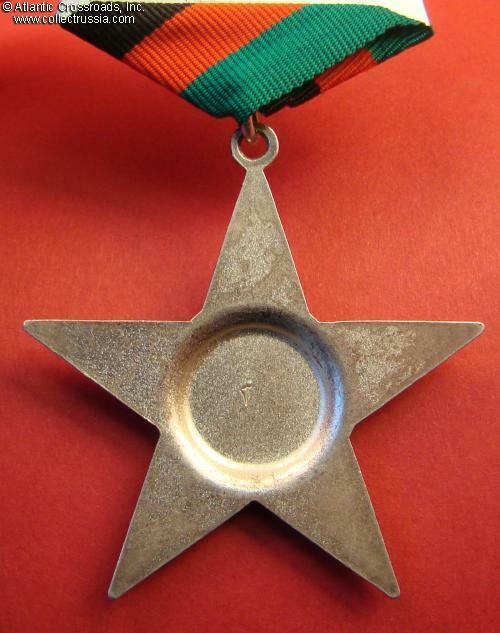 Comes on original suspension device. 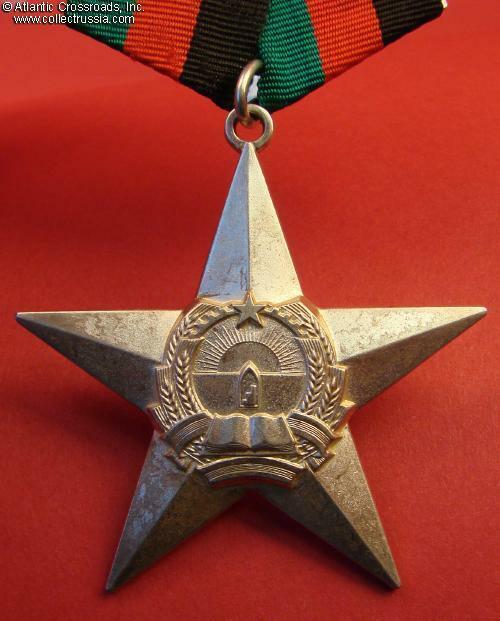 The ribbon is for a different Afghan decoration but it looks very similar to the correct ribbon for the Order of the Star (Afghan award recipients often used generic instead of regulation ribbons).